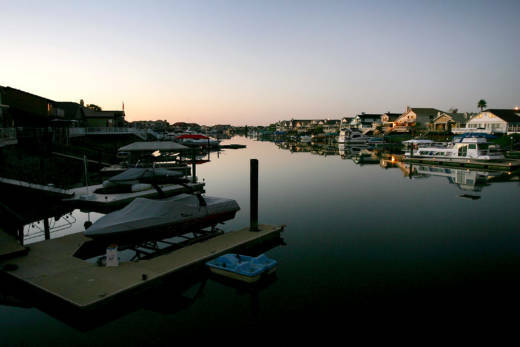 Contra Costa health officials are warning people to stay out of Discovery Bay after recent tests showed elevated levels of a toxin from blue-green algae. A routine sampling of the waters on June 27 by health officials found high concentrations of blue-green algae, which contains cyanotoxin. Contra Costa Health Services issued an advisory Thursday, July 19 warning that exposure to the toxin can cause rashes, skin and eye irritation, and upset stomach. In high enough levels, exposure can lead to serious illness and even death. "Environmental Health advises residents and visitors to Discovery Bay to avoid coming into contact with water in affected areas," the advisory stated. "Avoiding contact with the water is also advised for pets." Higher temperatures contribute to the sudden growth of the harmful algae, which eventually dissipate naturally. Dogs are especially sensitive to the toxin. In 2017, two dogs reportedly died after they swam in a contaminated pond in Southern Napa County. Tap water remains safe to drink as the toxin is not in the community's well water system, according to the advisory. Officials say the best way to prevent the blooms is to reduce water pollution, especially from runoff containing fertilizers or pesticides. Wash your skin and hair thoroughly. it thoroughly to prevent ingestion. Contact a licensed veterinarian immediately if you believe your pet may have ingested algae. Respect closures by public health authorities. contact your health care provider or California Poison Control at 1-800-222-1222. For updates on this advisory, visit http://cchealth.org/eh/blue-green-algae.php.